Today's Coast to Coast celebrates many forms of girl leadership. Check it out! PC Mag reports that International Women's Day Gets the Google Doodle Treatment. Happy International Women's Day! TODAY has an awesome story on Taylor Godwin, a Girl Scout who is on a mission to donate thousands of cookies to U.S. troops. She is doing just that, despite her battle with pituitary dwarfism and epilepsy. Minnesota's Echo Press reports that from March 10-16, more than 3.2 million Girl Scouts around the country will celebrate Girl Scout Week and the 101st anniversary of Girl Scouts. Self-discovery and community service were core values that Girl Scouts founder Juliette Gordon Low sought to instill in girls from the earliest days. The Epoch Times reports that Girl Scouts from around the country made a special trip to Capital Hill in Washington, D.C., on Feb. 28 to unveil the first U.S. Mint Girl Scouts of the USA Centennial Silver Dollar coin. Anna Maria Chávez CEO of Girl Scouts of the USA, said that she was joined by “incredible” young women. 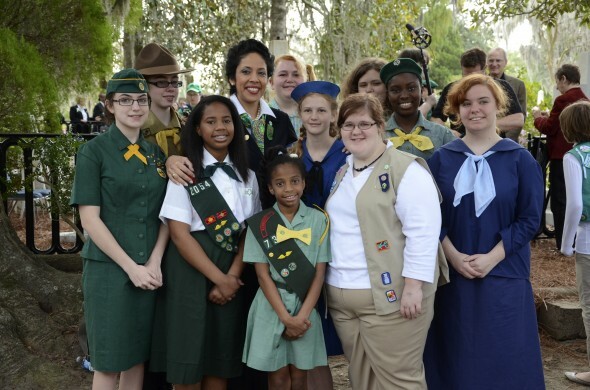 “Last week, I was privileged to be joined in our nation’s capitol by more than 20 Girl Scout Gold Award recipients and their council CEOs from across the United States,” Chávez wrote in her column in The Huffington Post on March 5. Congress reauthorized the Violence Against Women Act (S. 47) the on same day as the breakfast. Tech Hive tried the free Girl Scout Cookie Finder app for iOS and Android that's designed for the Girl Scouts of the USA.You can search by distance and then see your destination on a map. Girls Scout cookie season varies by region, so you also can search by date. 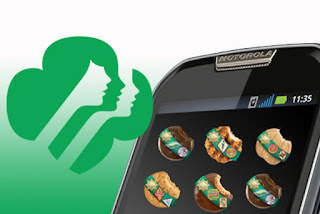 "The Girl Scout Cookie Finder app also provides videos about the Scouts and does a nice job showing the value of these cookies beyond indulging your sweet tooth: The Scouts learn valuable business and interpersonal life skills from participating in cookie sales." The Southern Illinoisan reports that inspiring girls to get excited about science, technology, engineering, agriculture and mathematics was the topic Thursday of a White House Roundtable. Hosted by the Girl Scouts of Southern Illinois at its regional office in Mount Vernon, the roundtable brought together women who work in the different fields to share ideas and encourage workplace development.